The present study deals with evaluation of antioxidant, wound healing and anti-inflammatory activity of ethanolic extract of leaves of Ficus religiosa. The ethanolic extract prepared by maceration technique was subjected to screen for antioxidant activity using DPPH radical scavenging method and wound healing activity using incision, excision, histopathological and dead space wound model and the study was supported with evaluation of granuloma tissue to estimate hydroxyproline content and histopathological evaluation. The anti-inflammatory study was carried out by using carageenan induced rat paw odema method. 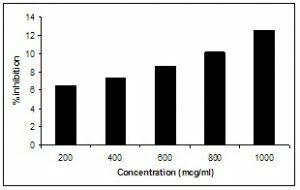 The tested extract of different dilutions in range 200µg/ml to 1000 µg/ml shows activity in range of 6.34% to 13.35%. Significant increase in wound closure rate, skin breaking strength, granuloma breaking strength was observed. The hydroxyproline content was also increased with decrease in scar area. The initial healing action might be due to increased collagen deposition and better alignment, with the obtained results it can be concluded that Ficus religiosa extract has significant wound healing activity and initial healing may be due to presence of glycosides and tannins. The extract shows prominent anti-inflammatory activity as compared to that of standard (Ibuprofen gel). The extract shows good anti-inflammatory activity on carageenan induced rat paw odema method. INTRODUCTION: Ficus religiosa (Moreaceae), commonly known as pepal tree is distributed throughout India, Pakistan, China and other tropical countries. The bark is reported to possess wound healing activity 1, anti-inflammatory, analgesic, anti-lipid peroxidation activity 2, and tender shoots have purgative properties 3. The leaf extract shows the presence of glycosides and tannins from the phytochemical analysis 4. Wounds are visible results of individual cell death or damage and can be classified by site, size, depth and causation – surgery, accident or circulatory failure 5. Wound healing is a process which is fundamentally a connective tissue response. Initial stage of this process involves an acute inflammatory phases followed by synthesis of collagen and other extracellular macromolecules which are latter remolded to form scars 6, 7. Inflammation is the process which may be due to release of histamine, kinins, serotonins and prostaglandin 8. Anti inflammatory agents are the agents which normally inhibit the release of these inflammatory mediators. The present study deals with the use of traditionally claimed use of Ficus religiosa. The invitro antioxidant activity was screened by DPPH method. The wound healing study was evaluated by incision and excision and dead space wound model followed by histopathological study. Anti-inflammatory study was screened by carrageenan induced paw edema method. Plant material and Preparation of Herbal Extract: Ficus religiosa fresh leaves were collected from the area of university campus, and authenticated in Department of Botany, Rashtrasant Tukdoji Maharaj Nagpur University Campus, Nagpur. Initially these leaves were washed with fresh water to remove adhering dirt and foreign particles and dried at 35 - 40°C in an oven. The dried leaves were crushed and grinded to get powder and weighed. The weighed powder was then placed with ethanolic solution in a cylinder. 500g of Ficus religiosa powder in 1.0 liter of ethanolic solution were macerated for 7 days. The mensturm was removed and concentrated by vaccum distillation. Again the crude material was allowed to undergo maceration for 4 days followed by 2 days for complete extraction. The mensturm was collected and concentrated by vaccum distillation and then air dried in an evaporating dish till constant weight was obtained. The percent yield of Ficus religiosa leaf extract is 26.52 %. 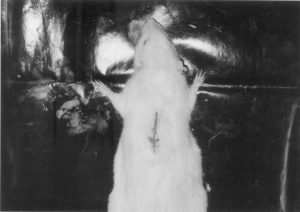 Animals: In the present study male Wistar rats (150-200g) were used for the study. They were individually housed and maintained on normal standard diet (Gold Muhor Brand, Lipton India limited) and water ad libitum. Temperature was maintained at 23±1°C with 12hr light and dark cycle. Wound Healing activity: Animals were wounded under light ether anesthesia, semi- aseptically. The animals were assigned in to three groups, each group containing six animals. 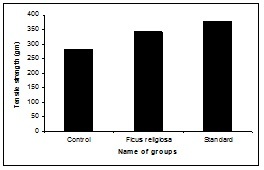 First group was untreated group which was taken as control (Group- 1). In Second group (Group-2) wounds received topical application of Ficus religiosa extract, while animals in Group- 3 (Reference Standard) received treatment of Framycetine Sulphate Cream (FSC) in both excision and incision wound models. No other topical or systemic therapy was given to animals during the course of this study. The experimental protocols were approved by the Institute Animal Ethical Committee. 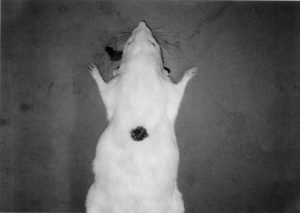 Excision wounds 10: Hairs were removed from dorsal thoracic central region of anaesthetized rats. 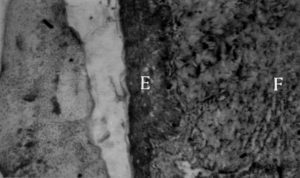 Full thickness from the demarked area was excised to produce wound measuring around 300 mm2 as shown in Fig 1. Wound was cleaned with cotton swab soaked in alcohol. The test extract and FSC cream was applied on the excised wound once daily for 24 days starting from the first day of wounding. Wound contraction was measured as percent reduction in wound area 11. Resutured Incision wounds: Animals were anaesthetized and paravertebral incisions (2.5 -3.0 cm long) were made through the entire length of skin. After the incision was made, the parted skin was kept together and stitched with nylon thread at 0.5 cm apart with curved needle (No. 11).The Photographic representation of incision wound model with the stitches on the incised skin are shown in Fig 2. The sutures were removed on day 8 and healing (tensile) strength was measured on day 10 12. Dead space wound model: Under light ether anesthesia, subcutaneous dead space wounds were inflicted in the region of axilla and groin, by making a pouch through a small nick in the skin. Granuloma formation was induced by implanting either sterile cotton pellets or grass piths. Two sterile cotton pellets weighing 10 mg (sterilized by autoclaving) were implanted in axilla by technique of D’Arcy et al as describe by Turner 13, but the granuloma were removed on 10th day. The sutures were mobbed with an alcoholic swab and animals were placed into their individual cages after recovery from anesthesia. Physical, mechanical and histopathological changes in granuloma tissue were studied in this model. Excision of granuloma from the surrounding tissues were performed on the 10th post wounding day under light ether anesthesia cotton pellet granuloma excised from dead space wound were dried overnight at 60°C so as to obtained a constant dry weight, their weights were noted and expressed as mg/100 gm body weight 14. The excised tissue was cut into two approximately equal halves. One half of the granuloma tissue was used for determination of hydroxyproline content 15. The other part is kept in 10% formalin solution for histopathological studies to evaluate the effect of extract on collagen formation. Histopathological study: The histopathology study was done to evaluate the healing promoters like keratinization, epithelization, collagenation, fibrosis and neovascularization, which were evidenced to promote wound healing in the experimental animals. The section from 10 day old regenerated tissue of incision wound was taken and washed with normal saline solution to study the healing markers. After fixing the section in 10% formalin solution the tissues were dehydrated with 90% ethanol, cut into thin sliced section (7 mm thick), stained with haemotoxyline- eosin dye and observed under light microscope for keratinization, epithelization, fibrosis, collagen formation and neovascularization 16. The interpretation of the results were numbered from 1 to 5 of which 5 stands for maximum similarity and 1 stands for least similarity form normal tissue around the wound area in the Ficus religiosa treated and untreated wounds 17. Anti-inflammatory Study: Anti- inflammatory activity of Ficus religiosa leaf extract was studied by carrageenan induced paw edema method. The animals were divided into three groups containing six animals in each group. Group- 1 (control) untreated group, Group- 2 topical application with Ficus religiosa extract, Group 3- topical application of Ibuprofen gel. Group 2 and 3 received topical application of Ficus religiosa extract and Ibuprofen gel for comparison of anti-inflammatory activity. One hour after the application of Ficus religiosa extract 0.1 ml of carrageenan (1%) was injected into sub planar region of hind paw of rat. 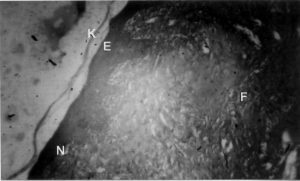 Measurement of paw volume (ml) were made by mercury displacing techniques using plethysmometer immediately before and 1, 2, 3 and 4 hr after carrageenan injection. Percentage inhibition of inflammation after 1, 2, 3 and 4 hr was calculated by newbould’s method 18. Statistical Analysis: Statistical difference between the groups were evaluated using one way analysis of variance (ANOVA) followed by Turkey’s Kramer Multiple comparison test (P < 0.001). RESULT: The present study deals with evaluation of antioxidant, wound healing and anti-inflammatory activity of ethanolic extract of Ficus religiosa leaves. The method used to determine the peroxide value or scavenging activity is based on decomposition or scavenging of DPPH which is a very stable free radical. The comparative percent peroxide value of Ficus religiosa extract is shown in Fig. 3. Percent peroxide value for Ficus religiosa extract is in the range of 6.34% to 13.35% for the extract with 200 µg/ml to 1000 µg/ml strength extract. The wound healing study was screened by four models incision, excision; dead space wound model and histopathological study. The anti-inflammatory study was performed by carrageenan induced rat paw edema method. The acute toxicity study of ethanolic extract of Ficus religiosa extract do not show any signs of toxicity up to 3 g/kg body weight. Since there was no mortality at higher dose 1/10th of maximum dose of extract tested for acute toxicity was screened for evaluation of wound healing activity i.e., 300 mg/kg. In the excision wound study the wounds are treated with FSC cream and Ficus religiosa extract shows complete healing in day 24 - 25. The results of these groups were compared with the healing activity of untreated group which took more than 30 days for wound closure and fall of eschar. The results are shown in Table 1. In incision wound study the tensile strength was measured on day 10 of regenerated tissues. 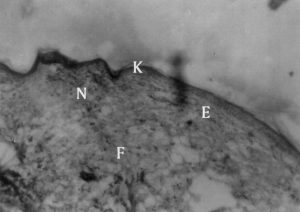 The tensile strength of wounds treated with FSC cream and Ficus religiosa extract is 342.21±3.55 and 379.00±6.32 respectively was compared with mean tensile strength ±SEM of untreated group i.e., 281.30±5.82. The comparative tensile strength is shown in Fig. 4. In histopathological study some healing markers were evaluated like keretinization, epithelization, fibrosis, Collagenation and neovascularization. After the histopathological evaluation of slides the Ficus religiosa extract treated wound shows prominent promotion of keretinization, epithelization, fibrosis and collagen formation, the results are compared with untreated group and wounds treated wit FSC cream was consider as reference standard. The comparative promotion of these markers are shown with the help of photomicrographs in Fig. 5 (a), (b) and (c).The promotion of healing markers is four times more than that of untreated wound. The results are shown in Table 2. Similarly in dead space wound model there was significant increase in granuloma breaking strength, dry granuloma weight and hydroxyproline content of granulation tissues as compared to controls. The results are shown in Table 4. The topical anti-inflammatory activity of Ficus religiosa extract was carried out. The percentage protection (inhibition) of odema for Ficus religiosa extract and Ibuprofen gel was found to be 46.82 (1hr), 21.30 (2hr), 23.31 (3hr), 59.44 (4hr) and 36.54 (1hr), 64.85 (2hr), 63.83 (3hr), 67.62 (4hr) respectively. The tested extract showed significant anti-inflammatory activity when the results are compared with untreated group and decreased in inflammation by Ibuprofen gel was taken as reference standard. The results are highly significant (p < 0.001) and are shown in Table 3. DISCUSSION: A herbal drug for the treatment of chronic diseases or as raw material from which more or less complex chemical compounds with particular biological activity are isolated, the deeply held beliefs in the efficiency of natural products/herbals should be proven by scientific investigation bringing the tradition and experience in the ancient knowledge with in the realm of sciences 19. In excision wound healing study from the observed values it were assumed that Ficus religiosa extract shows better and faster healing as compared to untreated group. During the initiation of the study day “0” the wound closure with Ficus religiosa extract was very slow as compared to untreated and FSC treated wounds. As the study progress the wound healing efficiency increases shows complete healing on day 18-21 which is same for group 3 (wounds treated with FSC cream), But the untreated group took more time to complete wound closure. The study was carried out till fall of eschar leaving no scar behind. This shows healing potential of Ficus religiosa extract with better and faster wound closure. The result obtained for tensile strength shows higher tensile strength for Ficus religiosa extract treated wounds as compared to wounds of untreated group. The increase in tensile strength may be due to promotion of collagen formation which significantly contributing to effective and better wound healing. compared to control and further histopathological studies of granulation tissue, which recorded increase in collagen content in treated group. The determination of anti-inflammatory activity is based on plethysmographic measurement of edema produce by sub planer injection of carrageenan in hind paw of rat. The increase edema in animal treated standard (Ibuprofen gel) and Ficus religiosa extract were composed with increase in edema of untreated control animals at constant interval of 1, 2, 3 and 4hrs. The percentage inhibition of odema at known interval in treated animals was used for the purpose of calculating the percent inhibition of edema of control. The present study revealed that the Ficus religiosa extract showed significant inhibition of edema. The maximum activity showed during 1st and 2nd hrs, the results are highly significant (p<0.001) as compared to standard. The anti-inflammatory activity may be due to inhibition of release of histamine, serotonin and kinens in first hour after injection of carrageenan and also retard the release of prostaglandin and like substances 20, shows anti-inflammatory activity of Ficus religiosa extract. It has been reported that tannins possess ability to increase the collagen content, which is one of the factor for promotion of wound healing 21. As the leaves are rich in tannins, it may be responsible for wound healing activity. The extract also shows antioxidant activity i.e., free radical scavenging activity which might reduces lipid peroxidation, may not only prevent or slows down the onset of necrosis but also improve vascularity 22. The experimental plant also shows antimicrobial activity as reported earlier these are the factors count for wound healing activity of Ficus religiosa extract. Thus it may be concluded that the leaves of Ficus religiosa shows significant antioxidant, wound healing and anti-inflammatory activity. Further studies are in progress to isolate the bioactive component of plant extract. Choudhary GP: Evaluation of ethanolic extract of Ficus religiosa bark on incision and excision wounds in rats. Planta Indica 2006; 2(3) ,17-9. Sreelekshmi R, Latha PG, Arafat MM, Shyamal S, Shine VJ, Anuja GI, Suja SR and Rajasekharan S: Anti-inflamatory, analgesic and anti-lipid peroxidation studies on stem bark of Ficus religiosa Linn. Natural Product Radiance 2007; 6(5), 377-81. Warrier PK, Nambiar VPK, Ramankutty C: Indian Medicinal Plants. Vol-1, Madras: Orient Longman Ltd; 1995, 38. Kalyon Roy, H. Shivakumar, Sibaji Sarkar: Wound Healing Potential of Leaf Extracts of Ficus Religiosa on Wistar albino strain rats. 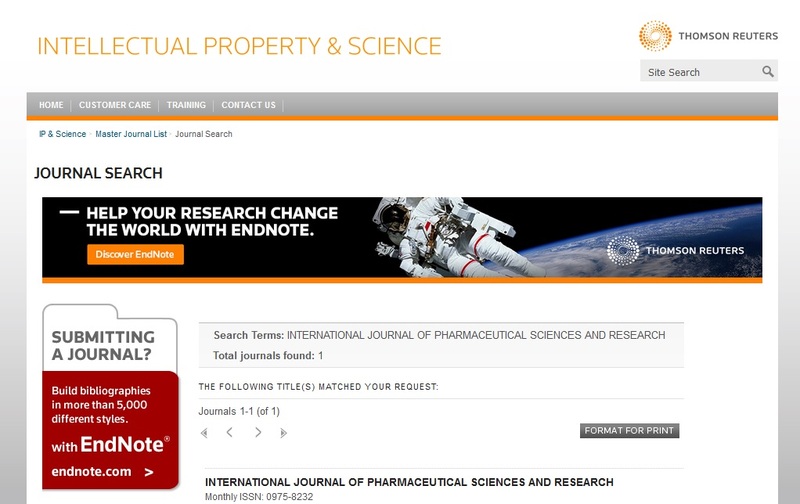 International Journal of Pharm Tech Research, Vol.1, No.3, pp 506-508. Prasad D. Rao CM: Wound healing activity of cyperus rotundus linn. Indian J Pharm Sci 1995; 33:845. Chitra P. Sajithal GB: Influence of Aloe vera on Collagen turnover in healing of dermal wounds in rats. Indian J Exp Biology 1998; 36:896. Jaswanth A. Akilandeswari LV. Rukmani: Wound healing activity of Aegle marmelos. Indian J Pharm Sci 2001; 63:41. Rang HP. Text book of pharmacology, International Student edition, Churchill living stone 1995: 246. Rekka E. Kourounakis PN: Effect of hydroxyethyl rutosides and related compounds on lipid peroxidation and free radical scavenging activity Some structural aspects. J Pharm Pharmacol 1991; 43:486. Morton JJP. Melon HM: Archives Internationales de Pharmcodynamic et de Therapie 1972; 176:117. Suguna L. Siva Kumar P. Chandrakaran G : Effect of Centella asiatica extract in dermal wound healing in rats. Indian J Exp Biology 1996; 34:1208-1211. Lee KH: Studies on mechanism of action of salycilates II, Effect of vitamin A on wound healing. Pharmaceutical Sciences 1968; 1238-1240. Ehrlich HP, Hunt TK: The effects of cortisone and anabolic steroids on the tensile strength of healing wounds. Ann Surg 1969; 170:203-6. Dipasquale G, Meli A: Effect of body weight changes on the formation of cotton pellet-induced granuloma. J Pharm Pharmacol 1965; 17:379-82..
Woessner JF: The determination of hydroxyproline in tissue samples. Arch Biochem 1961; 93:440. .
Yeo JH. Lee KW. Kim HC. Lyuny K: Biology and Pharmaceutical Bulletin 2000; 23:1220-1223. Rao GV. Shiv Kuamr HG Parathasa RG: Indian J Pharamcology 1996; 28:249-253. Thomas CA, Rama Sarma GV: Analgesic and anti-inflammatory activities of Melia dubia Indian Drugs 1999; 6:203-5. Duke JA. Bogen Schutz-Godwain M. Ducellier JD: Handbook of Medicinal herbs CRC press, London 2002. Thripathy KP. 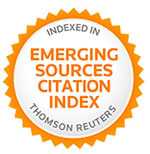 Rajasekaran A: Indian Drugs 2001; 38:426. Sunitha S, Nagaraj M, Varalakshmi P: Hepatoprotective effect of lupeol and lupeol linoleate on tissue antioxidant defence system in cadmium-induced hepatotoxicity in rats. Fitoterapia 2001, 72(5): 516-523.